Hannah Jaramillo How High is Too Low? A story of assessments and expectations. Hannah Jaramillo is a changemaker and student at the University of Evansville. Her project, the CommuniTree, was the winner of the University of Evansville’s first Changemaker Challenge in 2016, where she was granted a full tuition scholarship. The CommuniTree, located at Mickey’s Kingdom in downtown Evansville, is the tallest solar tree in the world, and will serve the purpose of a bridge between technological, social, and environmental enagagement. 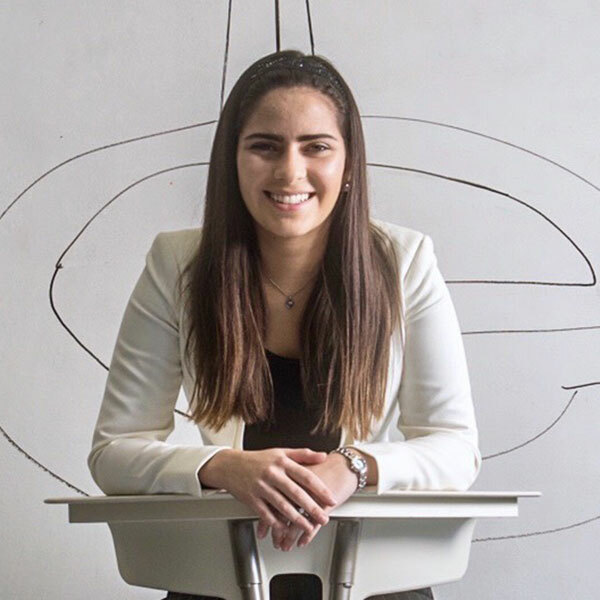 Hannah has progressed and completed many changemaking initiatives since 2016, including marketing and volunteering for a non-profit improving U.S. diplomacy in Cuba, local urban planning and connectivity, millennial retention and space creation, and community engagement projects.